Make them smile on their special day with our fresh and festive arrangements! 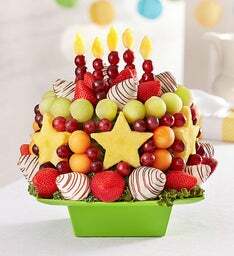 Dipped pineapples, strawberries and more tasty fruits are sure to make it an unforgettable celebration. Give them a gift they're guaranteed to love with our collection of bestselling fruit arrangements. Handcrafted and made for sharing, they're the perfect recipe for every celebration. 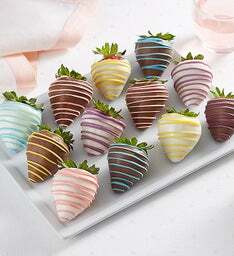 Get the party started with a selection of dipped fruit arrangements that are big on taste! Whatever you are celebrating, these tasty centerpieces will have every guest gathering around them. 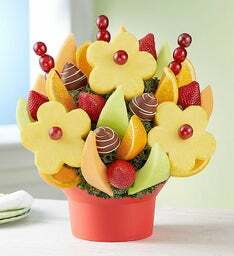 Gifting just got a lot easier with our FruitBouquets.com Gift Guide! 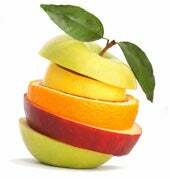 Think outside the box and send a fresh fruit bouquet today with our same day delivery options! 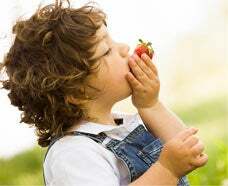 Sometimes finding the right gift can be difficult, which is why FruitBouquets.com has created this helpful gift guide to lead your fruit gift hunt in the right direction! 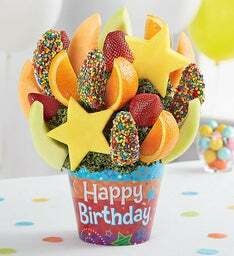 If you're looking for a unique birthday gift, fruit arrangements make the perfect tasty treats, and are perfect for sharing for all ages! 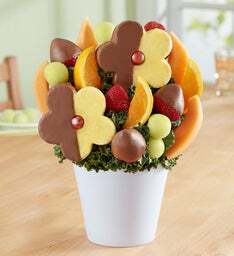 Whether you are celebrating Valentine's Day, Easter, Mother's Day, Thanksgiving, Christmas, or any holiday in between, FruitBouquets.com has the perfect gift for you. 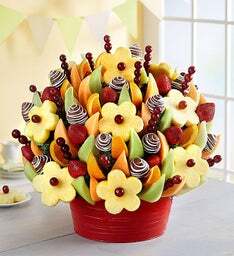 Speaking of sharing, our fruit bouquets also make the perfect party food with sizes ranging from small parties to large parties. Party guests will love to snack on these hand-arranged and hand-designed fruit bouquets. 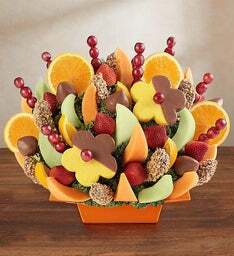 Beautifully arranged, FruitBouquets.com fruit arrangements also make for a great party centerpiece. 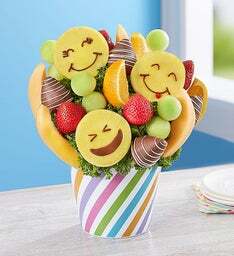 No matter the occasion, FruitBouquets.com is ready to deliver a sweet smile!